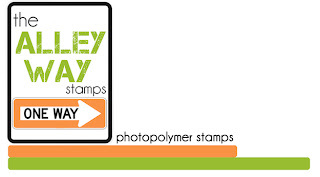 The Alley Way Stamps: We are so excited!! wow how exciting i love anything new! i wish you luck and i cant wait to browse!! !thanks for the chance to win something! Can't wait to see your art. Congratulations on your new adventure! I'm following so I won't miss any news and have posted your logo on my sidebar! Wow! What an accomplishment, your own line of stamps. Can't wait to see your designs!!!! Now off to get a badge up on the blog. awesome...looking forward to seeing some new stamps...I have attached your badge to my blog...wishing you much success.. This is so exciting to see a new company opening, cannot wait to see your images and join in the fun!! Congratulations!! I'm following this blog and I added your badge on my sidebar. Congratulations!! Can't wait to see what's in store!! Hi Alison! This is so exciting! I can't wait to see your new designs... AND challenges... yippee!! You're all linked up on my blog, under FUN-tastic places to shop!!! Coz I know TAWS will be! I added your badge on my sidebar and became a follower. Hi Alison - wishing you all the best with your new venture; can't wait to see everything. I've become a follower and added your badge to my blog sidebar. WOW! What a great start to the New Year. Really looking forward to seeing what you have on offer. Good luck. So excited for you, Alison!! Can't wait to see the finished stamps! What an exciting time! Congratulations! What fun! Best of luck to you on your new adventure - love the sneek peeks. I am a follower, but alas no blog to link to, however I will spread the word among my crafting friends. good luck with the new adventure!!!! I became a follower here and posted on my blog about Alley Way! :) Congratulations!! I became a follower and posted on my blog about your grand opening! Best of luck to you! Can't wait to see what you've got! Wishing you much success!!!!!!!!! !Looking forward to seeing your new stamps!!!!!!!! This will be so exciting! Linked you on my blog, am adding your badge on my sidebar and can't wait to see what you have to offer! Hi! Can't wait to see the new designs you have! I am now a "Follower"! Love your new stamps!! I posted on my sidebar and will try again to follow your blog. Can't wait to see what the future holds...Good Luck and Good Wishes! I've added your logo to the right side of my blog and become a follower. Congrats on the new stamps. Love them all! i did everythng above fingers crossed !!!! I have added your logo on my side bar. Congrats and love your stamps. I added your badge logo to my sidebar. Good luck in this new adventure. I am now a follower and added your badge to my blog! Good luck! Love everything I'm seeing so far! good luck on your new venture. Your DT team blogs are wonderful. Wishing you all the best for your new stamps, from what I have seen so far you will be a fabulous success. I've added your badge to my blog. Wishing you the best of luck with your new stamp business. I'm anxious to see what you have to offer. I've become a follower, but I have no blog, so can't add your badge. I'll spread the word, though, with my stamping friends. These look fantastic :) Can't wait to see more! I love a set of stamps that have so many elements that the set is super versatile. That seems to be the thing with these beauties. So love the whimiscal feel and the crispness of these stamps. Thanks for the chance to win. Hello! I put your badge on my blog! These are really cute stamps! So excited! I put your badge on my blog! Following you!!! Love your stamps!! Hope I win a set! Congratulations on your opening! I am your new follower and posted your badge on my side bar. Can't wait to see projects and stamps from you. Much success to you all... I have put your badge on my blog and am now a follower. thanks! I'm now following the blog! great talent here. Thanks a bunch. hello.. thanks for the chance to win it and all the best for alley way stamp.. So excited about your site... thanks for the inspiration and the chance to win!